Everybody loves football and why not? football breaks tribal and religious barriers and unites people under one umbrella. We all have memories of iconic events in the history of international football. Moments when the clocks stop, nations hold their breath, and we’re reminded just how special the World Cup can be. Lagosians are avid followers of football and although watching football is fun, watching with friends and fellow fans is better. 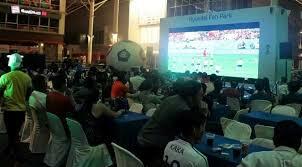 Which is why most Lagosians prefer to watch the game in viewing centres. The absolute icing on the proverbial cake is the place where you decide to do the watching. Where you watch a football match can make or mar your watching experience. Viewing centres are exciting places. The thrill that comes with seeing it alone at home is minimal compared to seeing it in a viewing center or a bar. You are likely to come across different types of people at a viewing center in Lagos. These are the 5 kinds of people you’re likely to meet. With the introduction of football betting in Nigeria, interest in football has moved to another level. These guys are not necessarily interested in the clubs they are cheering. All they want is the match to go the way they want so they can win some money. These are the guys who can do anything for the club they support. You’ll almost think they are the official representatives of the club in the neighborhood authorized and recognized by the club. They flaunt the clubs jersey, celebrate wildly if the club wins and refuse to eat for days if the club loses a match.It’s no use discussing the match with the die-hard fan if you don’t support his club. These are the guys who feel they are best suited to work at Super Sport but are just unfortunate to find themselves in your neighborhood. They know everything about every major European club and their players. They know the age and market value of every player and can analyze an on-going football match almost better than the commentator. Even when nobody is listening, they don’t care. It’s a solo duty anyway and they enjoy doing it alone. You have to doff your imaginary hat for Chelsea Football Club fans :Their ubiquitous presence in every viewing center is very vivid. Whether it is a match that Chelsea is involved or not, you are likely to find someone in a Chelsea club jersey there antagonizing every other club. In Lagos, they are stereotyped as noisy, aggressive and stubborn and don’t care about other clubs except perhaps clubs Jose Mournho has coached like Real Madrid and Inter Milan. Whether Chelsea is winning or losing a match, their formidable presence is always the same. So which category do you belong to? Investing in a football viewing center is a lucrative business. The market is a large one, there are many football leagues showing yearly from the English Premiership, French league, European Champions League, UEFA Cup, Spanish La Liga, etc. If you are still wondering how you can generate a reasonable income through this, let us do a quick calculation. If you own a 100 capacity viewing center and you charge customers N50 per match, at the end of each match (which is 105 minutes) you will have made N5, 000! Imagine you running about three four matches a day, doesn’t that look like a good bargain? To start with you will need to do a survey of the area you plan to set up the viewing center – Is it well populated? Is it close to higher institutions? what is the population of young people in that environment? Are there other viewing centres in that area? Be sure that your chosen location can accommodate many of your customers and still have space for expansion. Have a hundred people in mind for a start. 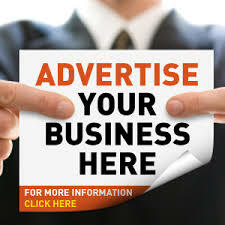 You can also generate additional income by providing light refreshments or drinks. You can invite a beverage company to come brand the place for you. In most cases, they give 1 or 2 refrigerators to sell only their brands. Sports betting is another means to generate additional income; have you heard of Nairabet and the likes of other sports betting companies? This is proof that football betting and viewing centres are very lucrative businesses. Get a blackboard or notice board outside your football center to write out all upcoming matches for the day. If you have more capital and you want to make your viewing center top-notch, you can employ cooks to sell pepper soup, small chops, recharge card vouchers, and cold drinks. You could even sell these things yourself. If you are a good cook, you could set up a pepper soup joint beside your viewing center. Another strategy to stay at the top of your game is by offering bonanzas or produce T-shirts with the name of your viewing centres printed on it. Be smart and creative. There’s so much money to be made in this business! Treat your customers with respect. Customers are the backbone of every business! Be friendly to your customers. Treat them with respect, and try to build personal relationships with them. Most importantly, be friendly to your clients. Try to deal with them personally and with respect. The football viewing center is really a money spinning venture in Lagos. Take advantage of it. Note: Survey does not include cost of rent as there may have a structure on ground. Also rental fee varies from one location to the other.